Loans extended by banks to hotels and hospitals may no longer be treated as commercial real estate category. The Reserve Bank of India revised norms on real estate exposure where it included loans extended against security of future rent receivables from commercial real estate exposure. The revised norms will not immediately impact banks’ balance sheet. This is because standard provisioning for real estate companies were brought on a par with all other industries on November 15, 2008. As a part of the stimulus package, the general provisioning requirement on standard advances for commercial real estate sector has come down from 2% to 0.04%. However, under reducing the standard provisioning for commercial real estate, RBI had said that they were counter cyclical prudential measures. This means that as and when the economic cycle changes, RBI may increase provisioning norms on commercial real estate sector. Meanwhile, on Thursday, RBI has continued to maintain that SEZs will be treated as commercial real estate. In case of hotels, the cash flows would be mainly sensitive to the flow of tourism, not directly to the fluctuations in the real estate prices. In the case of a hospital, the cash flows in normal course would be sensitive to the quality of doctors and other diagnostic services provided by the hospital. In these cases, the source of repayment might also depend upon the real estate prices to the extent that the fluctuation in prices influences the room rents, but it will be a minor factor in determining the overall cash flows. In these two cases, the recovery in case of default may partly depend upon the sale price of the hotel or hospital. Considering that repayment is not dependent on real estate prices, recovery is only partly dependent on the real estate prices, RBI decided not to treat them as real estate exposures. 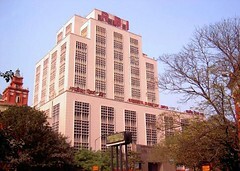 Justifying its stand on treating loan against future rent receivable as real estate, RBI pointed out that a few banks have formulated schemes where the owners of existing real estate such as shopping malls, office premises agree to repay loans from the income that is generated from the rentals by these properties. Such finance may or may not be secured by the mortgage of the underlying properties. In case it is unsecured, the repayment will be sensitive to fall in real estate rentals and there would be no source of recovery in case of default. In case the loan is secured by mortgage of the underlying property, both the repayment and recovery would depend upon property prices. This entry was written by , posted on January 9, 2009 at 1:46 am, filed under Property News and tagged Bank Loans, Bank Of India, Cash Flows, Commercial Loans, Commercial Real Estate, Economic Cycle, Fluctuations, Hospitals, Norms, Real Estate Sector, Reserve Bank Of India, Room Rents, Stimulus Package. Bookmark the permalink. Follow any comments here with the RSS feed for this post. Trackbacks are closed, but you can post a comment.